There are plenty of CME companies out there these days. The challenge is to find one that will actively engage your physicians. Finding a CME software vendor that aligns with the needs of your organization is a challenging but rewarding venture. Your goals for CME are likely diverse, ranging from reduced costs to increased reporting capabilities. In order to meet these goals, you must find a continuing medical education company with software that both supports your objectives and offers an engaging user experience. Active physician engagement is critical to successful CME outcomes and should be pursued by your CME provider. To better understand the CME programs offered by different vendors, it may be beneficial to request a demo. This will give you a direct look into both course creation and the learner experience. How Do CME Companies Promote Physician Engagement? Automated attendance tracking. This feature allows administrators to track and record attendance via mobile phones, send email reminders for upcoming events, and set pass/fail statuses according to offline events. Making attendance a priority for your CME program can encourage user engagement. Credit management. This allows administrators to create credit types for each activity and award corresponding certificates. Physicians may be required to achieve a certain amount of credits throughout the course of their careers, and accredited CME activities provide an incentive to participate. Additionally, some CME programs offer the capability for credit expiration, encouraging physicians to act sooner rather than later. Assessment tools. Such tools are designed to keep both users and administrators aware of learning progression. Quizzes, global or direct feedback, and time-based follow up assessments are all good options. As part of an integrated approach, these assessments can prepare for eventual practice-based outcomes. 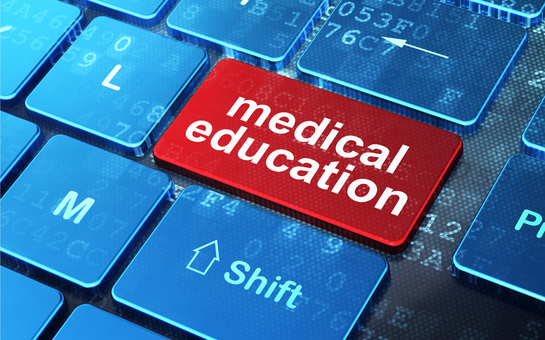 When researching the software features of various continuing medical education companies, consider EthosCE. Our learning management system consolidates web solutions into a singular framework, delivering an automated and streamlined CME. We are committed to meeting and exceeding your program objectives. Interested in trying our award-winning CME learning management system? Request a demo today. For more information about our offerings, please contact us at 267.234.7401. Is a “Software-as-a-Service” Learning Management System Right for You? Enough is Enough! Getting a LMS that Works for You!